When it comes to dressing a window we tend to stick to the safe zone – off the peg curtains, how boring. Well what if I told you you don’t have to have curtains at all and you can still have a well dressed window. 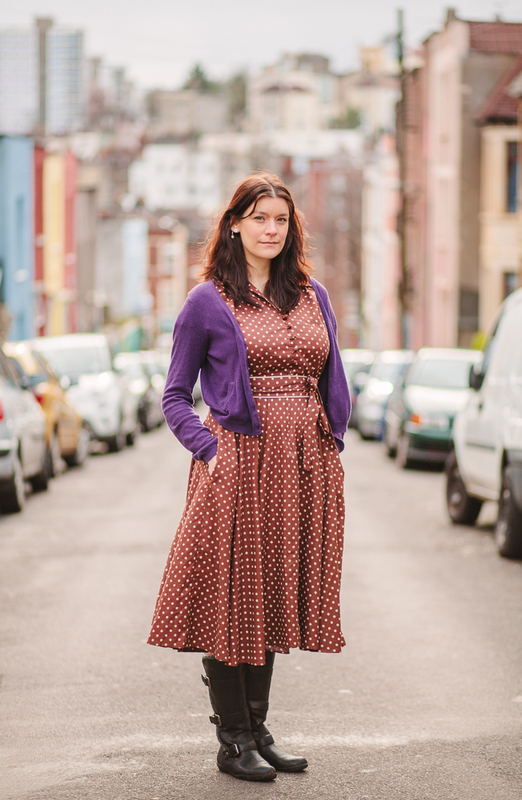 In fact bad curtains or curtains that are the wrong length can completely ruin a room, I ranted about curtains being the wrong length in this post. I have teamed up with Thomas Sanderson to talk you through some of the various non curtain options of window dressing with you. First of all let’s talk about small and short windows. Yes you can get short curtains for those windows but please don’t they look silly. My advice is to consider blinds for these windows. 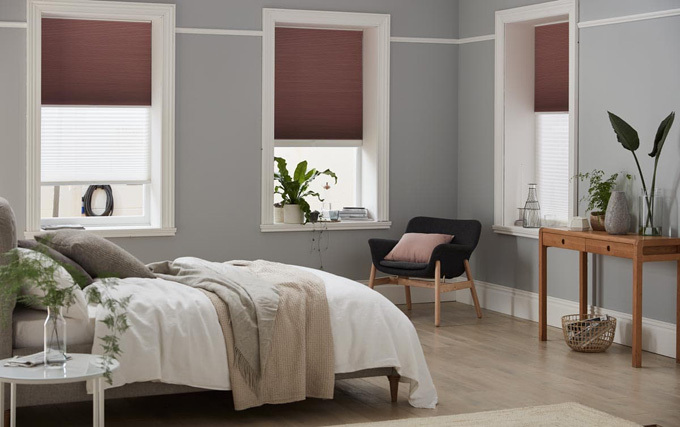 As the majority of blinds fit neatly inside the window space it is a great way of combating small windows in a crisp stylish way. It is also a fun way to add a pop of colour to a room. When you have a dark area in your home you may not want to block too much of the light but a window that has noting on it always makes a room look unfinished to me. In those cases it is time to really think outside the box. 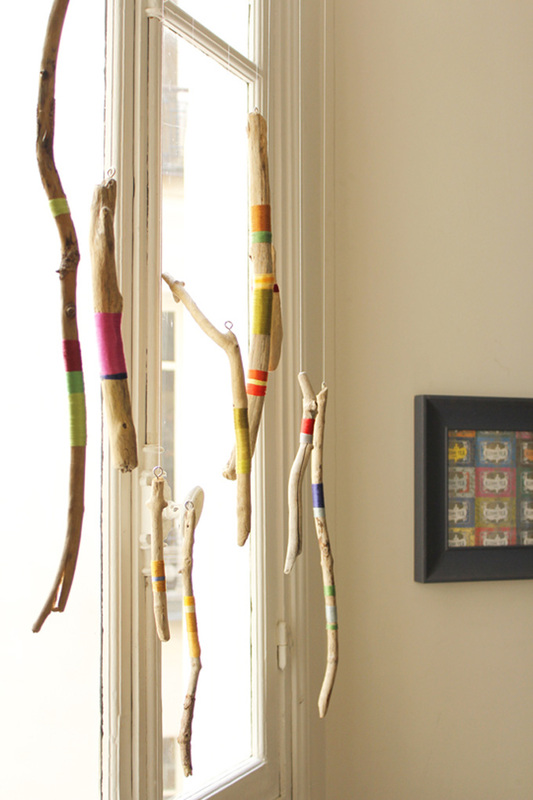 In our Paris apartment I used driftwood to dress the courtyard window. You can read about how I did that in more detail here. When you have a window with lots of light you can fully embrace your inner Urban Jungle Blogger and fill it with plants. They will thrive in the sunshine, (unless you pick shade lovers – so don’t do that). The plants will provide a beautiful organic screen to your window. How wonderful to have a window that will grow and change over time. 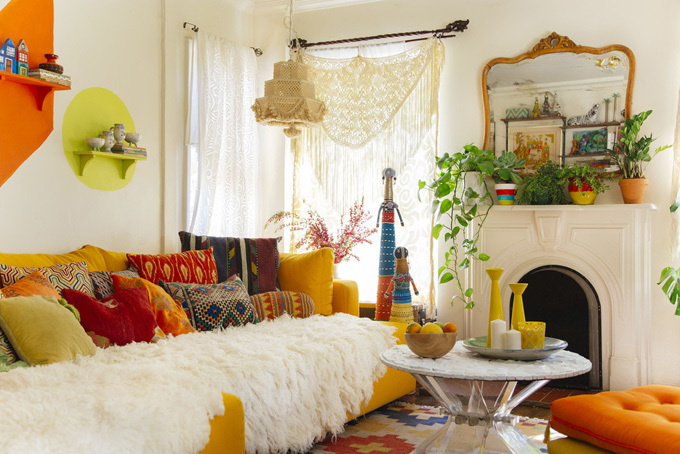 My all time interior design hero Justina Blakeney gathered some lovely examples of using throws, blankets, hangings etc as bohemian window dressings. Using this method you can add instant personality to your home and you can also drape the fabric in such a way that it adds interest and privacy so it is both beautiful and practical. Lets look at the last problem window now – skylights. Having a slanted window limits your options. In this case a window blind is the perfect choice. Thomas Sanderson have a great range day/night blinds. These blinds are perfect for a skylight as they allow you to diffuse strong sunlight during the day and block the outside world at night. This was a sponsored post but all opinions are honest and my own. I love the driftwood accessories you did for the Paris apartment! Absolutely gorgeous. 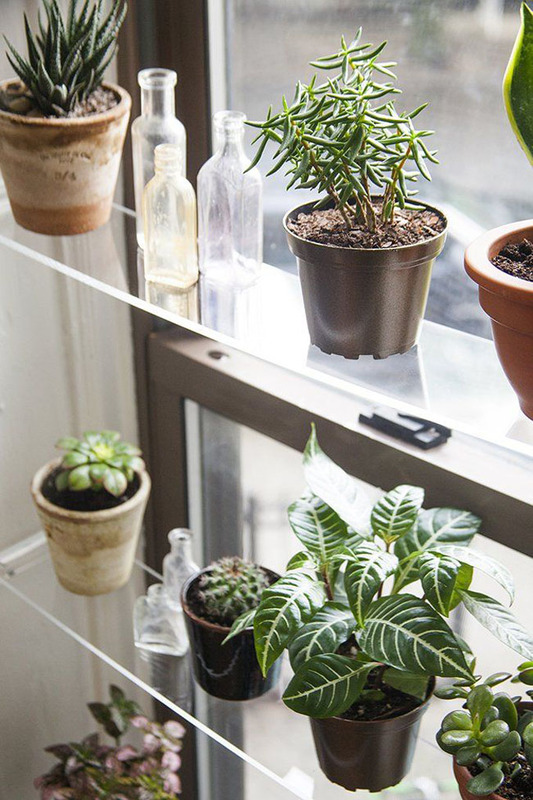 I love the idea of having glass shelving for plants! Great use of space and light. 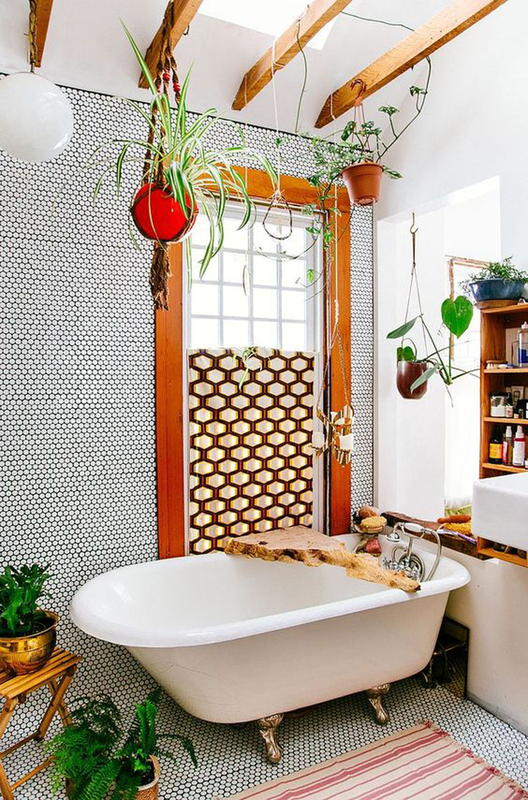 I love having plants in a window as I'm a big fan of having a lot of greenery around the house, but these are all great ideas and look very stylish. The driftwood is really unique! Great ideas here for inspiring window dressings! I love the plants. Great ideas. I currently have plants in my windows but I absolutely liked your first idea and that room with a little bit of folk-eclectic style is so charming! Plants are key although I kill lots of them at least it keeps the display fresh!!! I have to keep my windowsills clear because Paladin likes to lay down and look outside and talk with everyone that comes by. I really love hanging droopy plants and gauzy curtains. I like sleeping with the curtains open so curtains aren't a big deal for me! Awesome ideas for styling a window! I think the plants would be lovely to look at especially in the living room. If we didn't have cats that would climb shelves, I'd definitely do that. Curtains are so boring aren't they?! 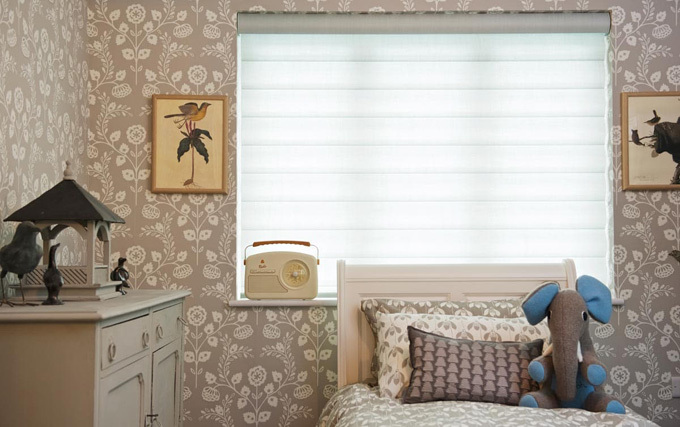 We opted for a mixture of wooden shutters and blinds which we love. I love all these ideas! I never think about dressing my windows other than blinds. I will have to add a few plants since I have the room! Wow!! I am loving these ideas. I think I need to dress up our window and I really want to fill it with some plants and lovely flowers. oh my gosh im loving the plant ideas and think i might do that in the kitchen as we have nothing up there at the minute and it looks pretty bare! Ahhh USING throws, blankets and hangings as bohemian window dressings is my ultimate goals!! These are all some really great Ideas!! I have curtains and shades works pretty well for me 🙂 I also use plants!